Caring for one another is at the core of our most valued relationships. For families of people with special needs, preparing for the future may seem overwhelming; their lives are complex and with each day comes the possibility of new challenges. Cindy is a committed, vital and highly experienced professional who fully understands, from her own experience, the dedication of families planning the lifelong care for their family member with a disability. Cindy is a Certified Financial Planner™ professional and the sister of an adult brother with disabilities. Early in her career, she began to view her profession through a personal lens, recognizing the unique nature of the financial planning requirements of families like her own. She committed to dedicating her career to helping families and people with a disability plan for the future. She partnered with John Nadworny to help define the field of planning for families of individuals with special needs and to establish Special Needs Financial Planning. She is co-author, along with John, of the first-of its-kind book, The Special Needs Planning Guide: How to Prepare for Every Stage of Your Child’s Life (Brookes Publishing, 2007). They are currently under contract to write a second edition of this respected resource for families and professionals. 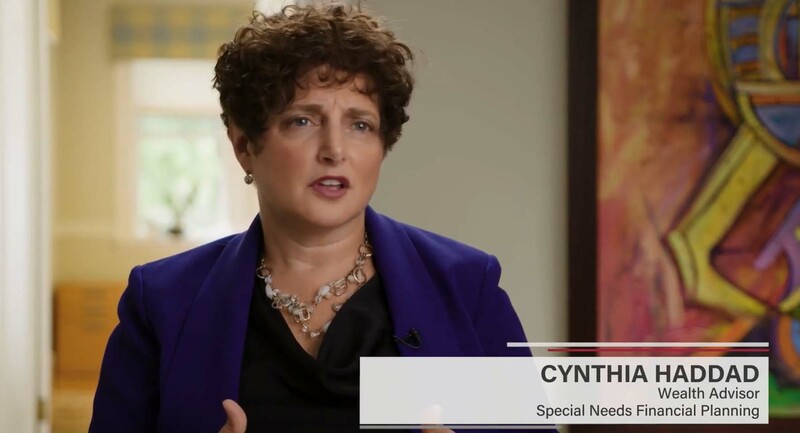 As a thought leader and subject matter expert on the topic of planning for people with disabilities, Cindy has been quoted extensively in the media. In the video below, Cindy describes how the Special Needs practice developed. As a passionate advocate of education for families, Cindy has presented hundreds of pro-bono, informational workshops, participated in panels and written and been quoted extensively in the media. She continues to write and speak on the issues of special needs planning and has developed a program to bring greater awareness to brothers and sisters who share the lifelong care of their sibling with special needs. Based upon her personal and professional experience, she has recently published an eBook: Sibtips, Vocabulary for Siblings. For over 20 years, she has held positions of leadership in a variety of public policy advisory organizations and is a sought-after speaker at conferences for individuals with special needs and their families throughout the country. Cindy currently is active in the Special Needs Collaborative group within the New England 500. She has also served on the board of The Arc of Massachusetts, as well as the Central Middlesex Area Advisory Board for the Massachusetts Department of Developmental Services and Massachusetts Sibling Support Network (MSSN). She also served as an advisor to the MARC Trust, Inc. (currently Planned Lifetime Assistance Network of Massachusetts, Inc.) in past years. Cindy is a Certified Financial Planner Professional ®(CFP®) , member of the Financial Planning Association (FPA), Academy of Special Needs Planners and the USA500. Cindy earned her BA in Finance and Economics from Simmons College. Cindy lives in Belmont with her husband and two children and is actively involved in her church and local community. In addition to serving as an advocate for her brother Ron, she enjoys cooking, gardening, ice-skating, and having fun with her family. Important fact: Shades of the Von Trapps! Cindy – and her musical family – are all talented performers.